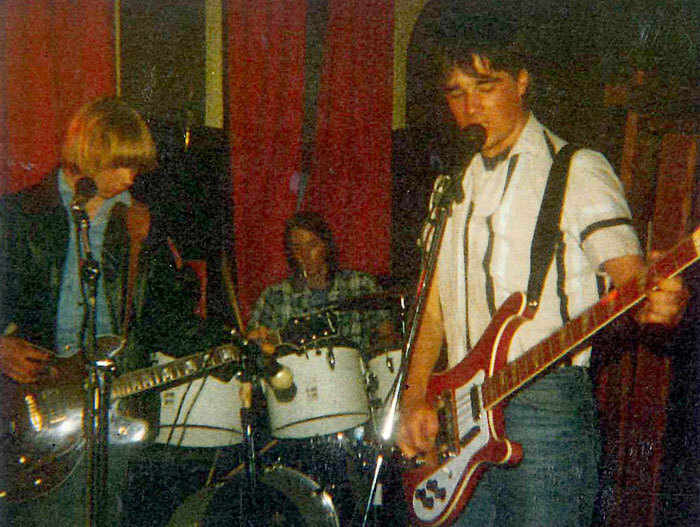 The Clean were the first of the Dunedin bands to headline The Empire Tavern. 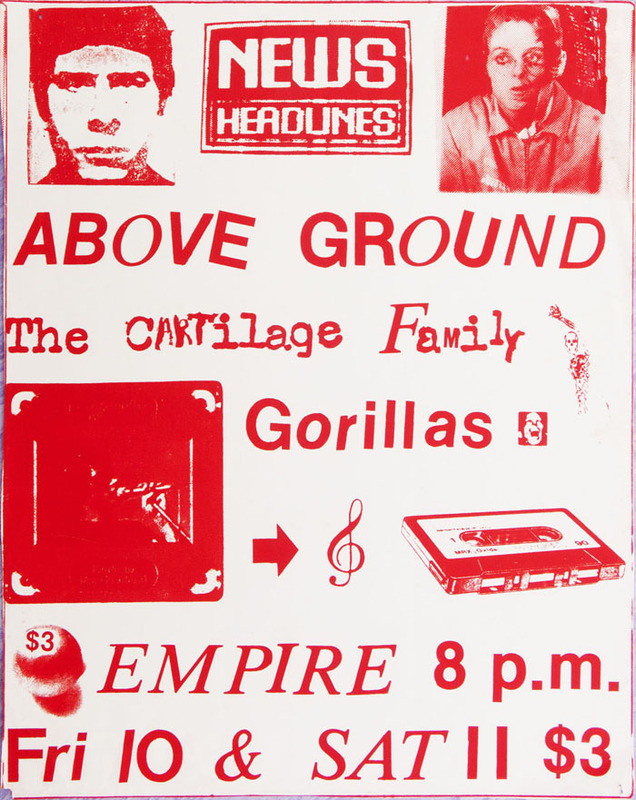 The band played two gigs on a weekend in August 1981, starting a remarkable period of music at the venue that continues to resonate. 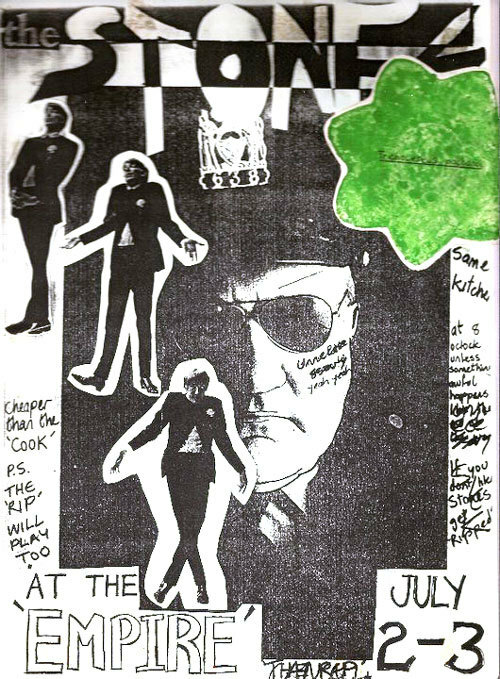 The Kilgour brothers and Robert Scott were opening a national tour to promote their first 7-inch,‘Tally Ho’, on the just-formed Flying Nun label. A year beforehand, at a pub a few hundred metres south on Princes Street, The Clean had suffered the indignity of management cutting the power on them. How fast things were to change. 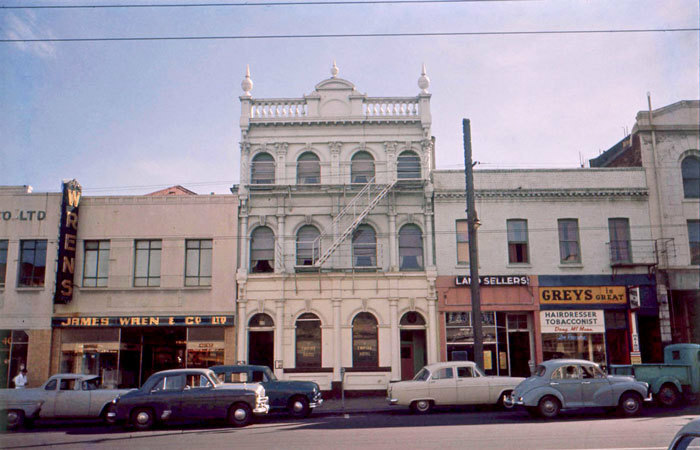 The Empire Hotel circa 1960. Designed by Thomas Bedford Cameron, it was built in 1879 as The Queens Arms and was renamed The Empire Hotel in 1898, and then later The Empire Tavern - Photo by Hardwicke Knight. Courtesy of Built In Dunedin and Simon Knight. The upstairs bar in The Empire was tiny, not much bigger than a large lounge – audience and band stood toe to toe. In the early days the stage was positioned so there was only a metre or two of space in front of it. Aptly enough, the most memorable symbol of The Empire was three psychedelic cardboard figures with luminous guitars rocking back and forth in an alcove above the bar. An old beer pump powered them. 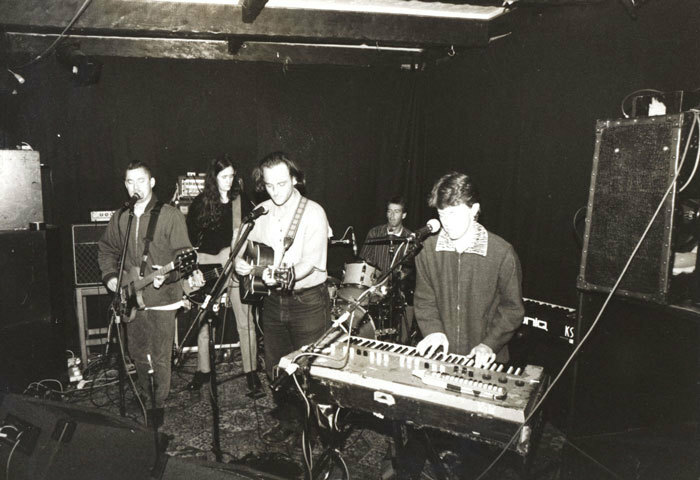 Guitars ruled – this is where so much of Dunedin’s famed jangle and drone would initially be honed. 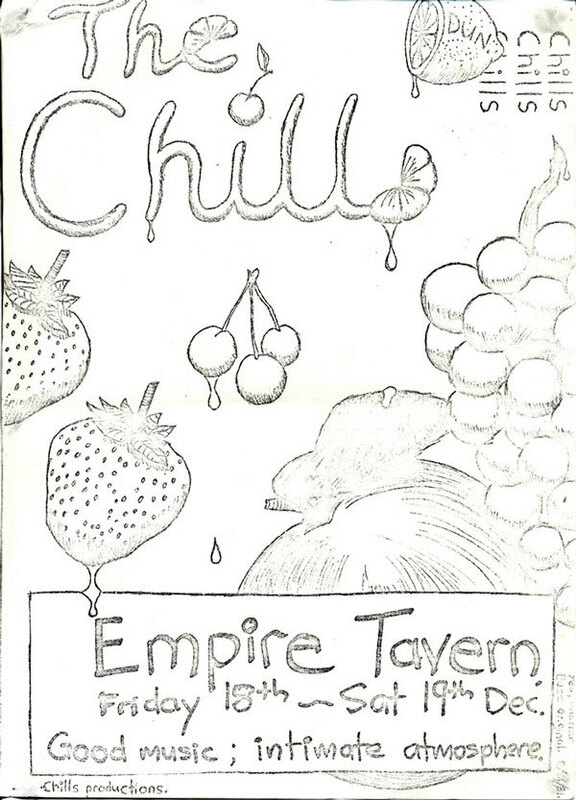 When the band first played the bar on December 18, 1981, they were at an early peak. 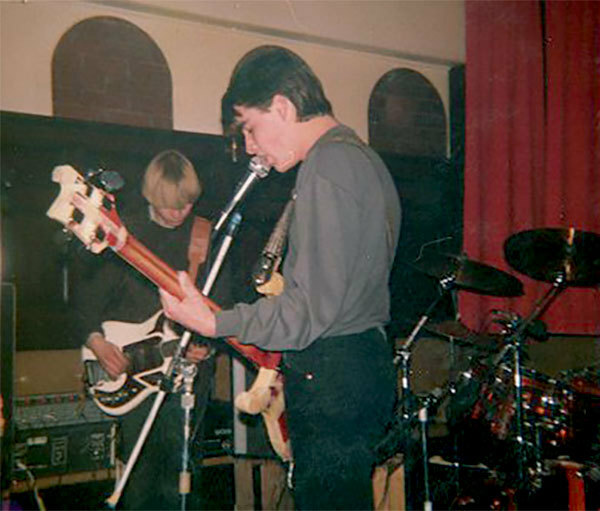 The 18-year-old Phillipps had already written classics such as ‘Rolling Moon’, and he had a band that was terrific live – Terry Moore (bass), Fraser Batts (keyboards), and Alan Haig (drums). 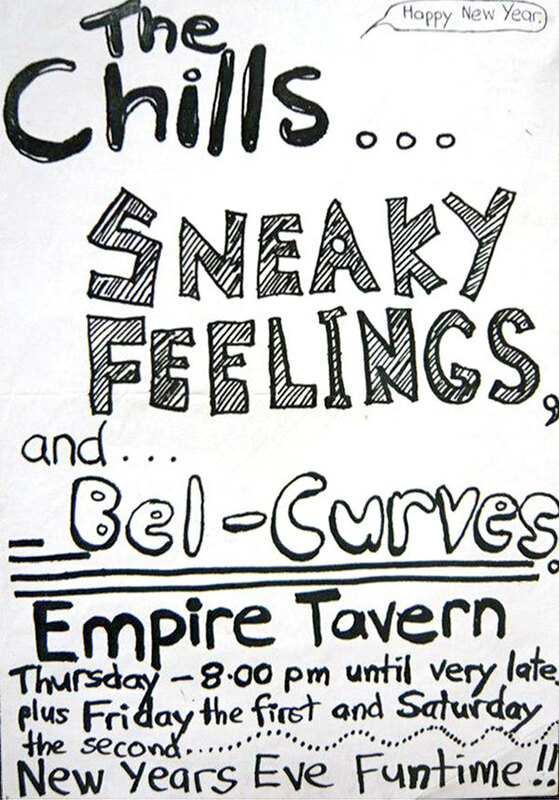 When Sneaky Feelings first played the venue, they did mostly originals and a few covers, Hendrix’s ‘Hey Joe’, and The Byrds' ‘Feel A Whole Lot Better’. Bannister remembers for the opening night his voice was hoarse. He’d been on a Springbok tour protest. The bar looked an unlikely place for rock music. 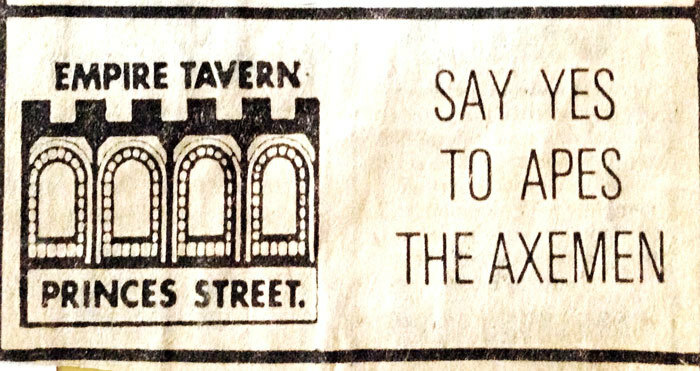 John and Maureen Simpson, who bought the pub in 1973, refurbished the first floor, turning the living quarters at the front of the building into a Bavarian beer bar. The Stones at The Empire with The Rip, July 1982 - Photo by Bruce Mahalski (the green stamp is a San Pedro cactus as used to cover the walls of Wayne Elsey's London Street flat). John hired oompah bands, made up of four of five members of local brass bands. Maureen was a singer herself – she started as an eight-year-old, won Otago and Southland prizes by the time she was 19, and was a mezzo for many years for the Dunedin Opera Company. 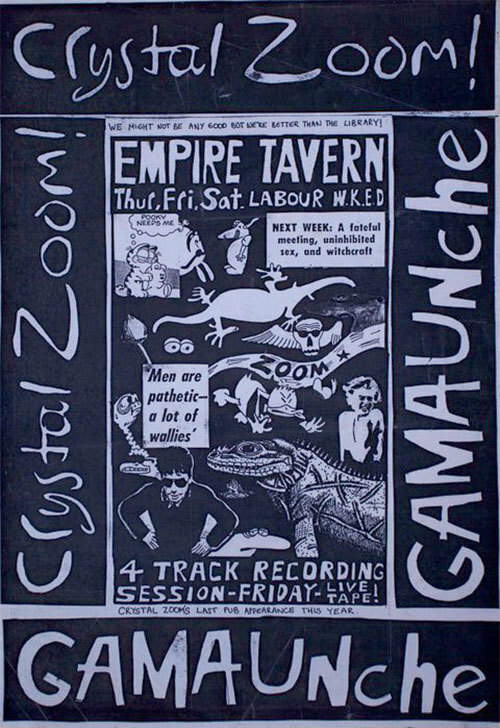 The character who introduced the bands to The Empire – the bands which would rapidly advance to record on the landmark Dunedin Double EP – went by the name of Malcolm Overton. A self-proclaimed entrepreneur, he modelled himself on Malcolm McLaren. He also called himself the “Earl of Dunedin” – he was on the door at the early gigs in a silk paisley dressing gown and beret. When he suggested the bands needed to become more professional, and start dressing like New Romantics, and stop turning their backs to the audience, he was quickly shown the door himself. Graeme Downes of The Verlaines stepped in, and helped Maureen Simpson ensure the flow of bands. They shared a knowledge and love of classical composers and music. 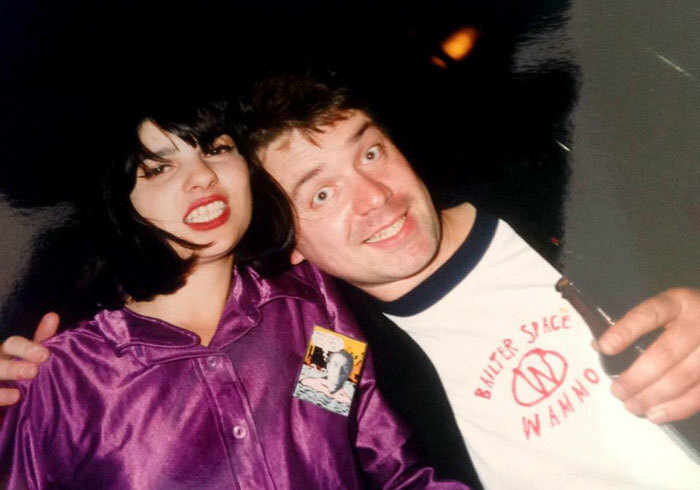 This created a bond, that Downes says, “transcended the God-awful noise we were making.” Alastair Galbraith of The Rip also assisted in booking bands. The Simpsons never hired a bouncer to stand on the door, a small but significant measure of how much they embraced the music. Bands did literally keep each other going. Alastair Galbraith credits the late Wayne Elsey of The Stones for his band, The Rip, continuing after they’d made a disastrous debut at The Empire. The 15-year-old Galbraith wanted to quit, but Elsey consoled him. “He told me that I had something, something that he couldn’t really describe, not a great musical talent or instrumental proficiency, more a spirit that he could see when I played. He offered to help in anyway he could, and he did, “Galbraith told the website Emperor Jones. Elsey gave them a bass guitar, let them use The Stones’ practice room, and offered support slots. After Elsey’s terrible and premature death in a train accident, Galbraith wanted to somehow remember his friend and his kindness – he later wrote a song about him, ‘Starless Road’. Wayne Elsey had made another musical debut at The Empire – with his great mate Shayne Carter as the Doublehappys on Guy Fawkes 1983. Given the band’s name and approach, the date was probably not a coincidence. Look Blue Go Purple played their first gig in the pub in the spring of the same year, and were supported by the late Andrew Strang reading his poetry. Strang is remembered for his maniacal dancing at the venue. If he was up on the dance floor – a whirl of arms and legs – the night was laying claim to being memorable. 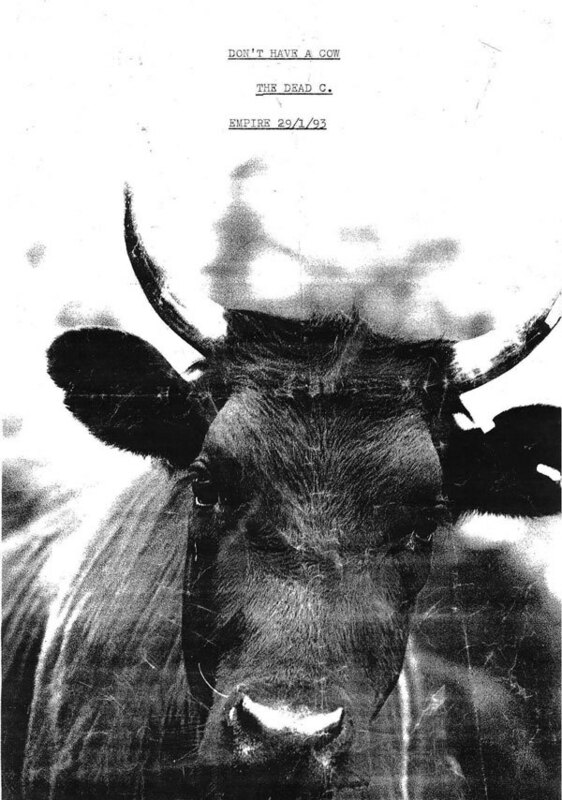 There were, of course, nights of discord between bands and management. 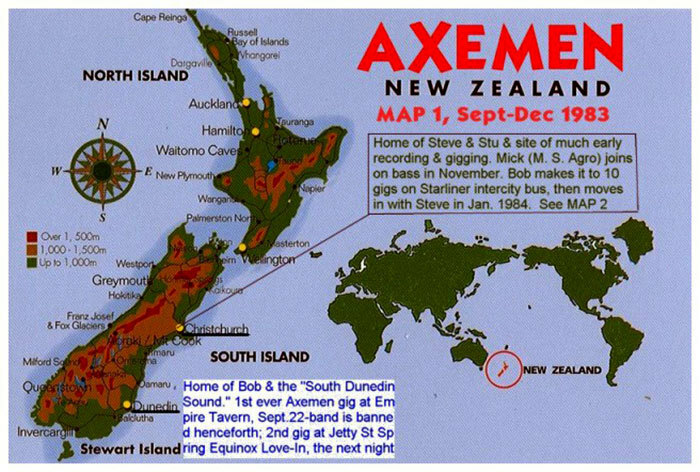 The anarchic AXEMEN made their first appearance on a public stage at The Empire, and were promptly banned. ‘Maureen didn’t like us. But we kept coming back. 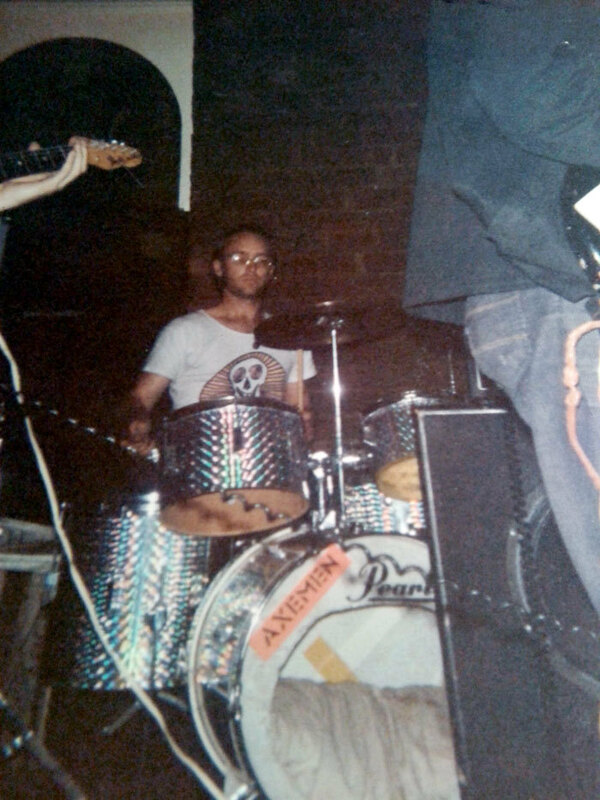 Once she switched off power mid set and dumped us outside with all our gear in the rain,” says drummer Stu Kawowski. The pub remained a hub of creativity into the mid and late ‘80s. Robert Scott made appearances in one of his many off-shoot bands, Electric Blood, and he also released live lo-fi recordings of others who played the bar – The Puddle, Alpaca Brothers, AXEMEN (a song from that controversial debut), and Gaumanche – on his Every Secret Thing cassette compilations. 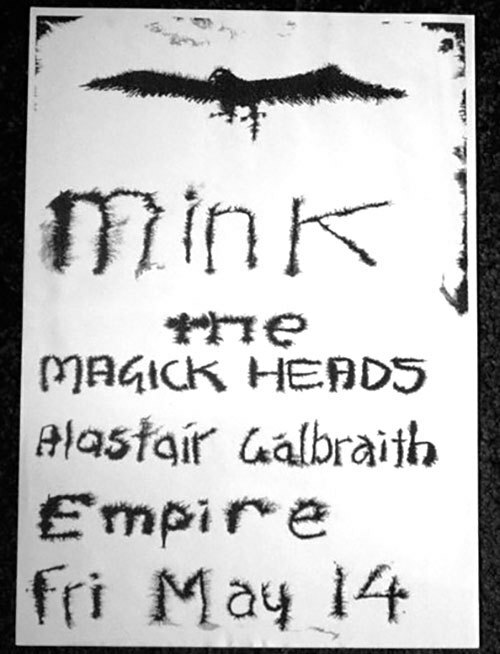 The Rip graduated from perennial support band to headliners, aided by Alastair Galbraith’s flatmates – Robert Scott, Michael Morley, and Bruce Russell – forming various experimental support bands. These nights eventually led to the formation of The Weeds. Russell would later co-found The Dead C, and the Xpressway label. 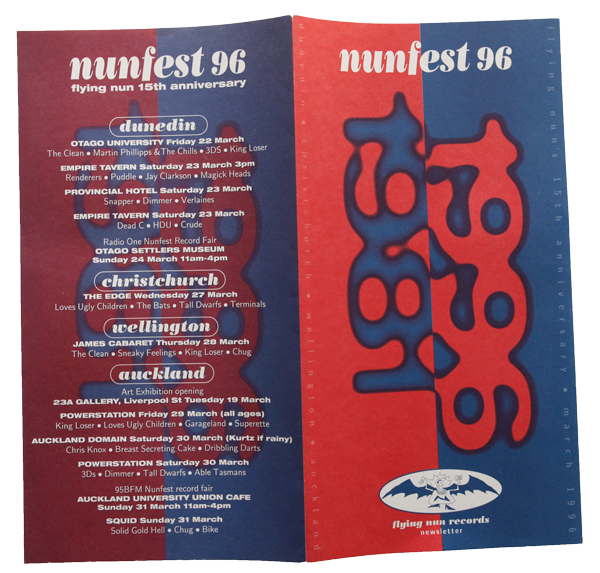 The bands of the Christchurch underground also visited – Bill Direen’s Above Ground as early as 1983, and The Terminals in 1988. 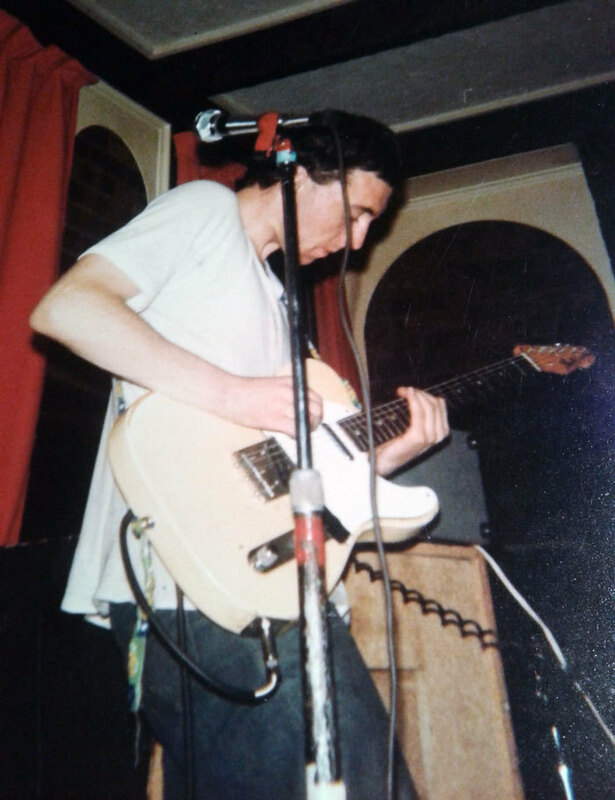 One memorable night in 1986, Bill Direen sang the Victor Dimisch Band song, ‘It’s Cold Outside’, as he sidled out of the window and onto the wrought iron fire escape. 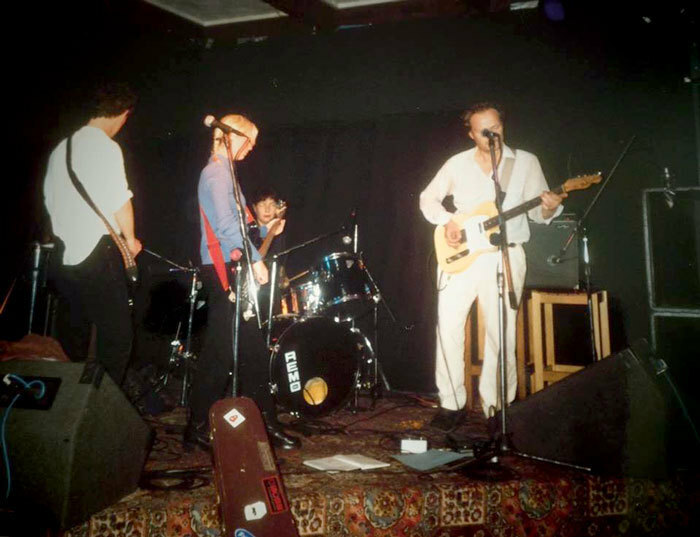 Soon after an early incarnation of Snapper – The Phromes – debuted in the bar. They played a fairly gentle and restrained set, perfectly suited to the intimacy of the bar. 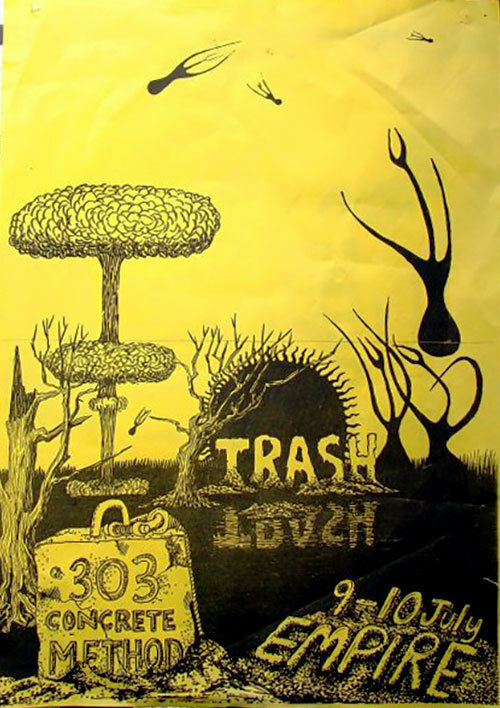 In December 1989 this unique chapter of a pub and the rise of a remarkable music scene came to a close. John and Maureen Simpson sold the pub. 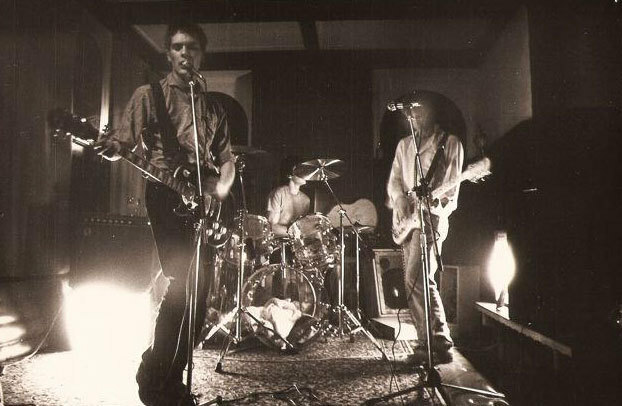 Many of the musicians who’d prospered there played a farewell gig, including The Verlaines, and various members of The Clean and The Chills. They signed a sheet which Maureen had framed and which she keeps among her mementos. Squash - 'Missing Girl' - live at The Empire, 1989. Squash were a one-off group with David Kilgour, Martin Phillipps, Peter Gutteridge, Bob Scott and Alan Haig, formed to farewell John and Maureen. Filmed by Roi Colbert. 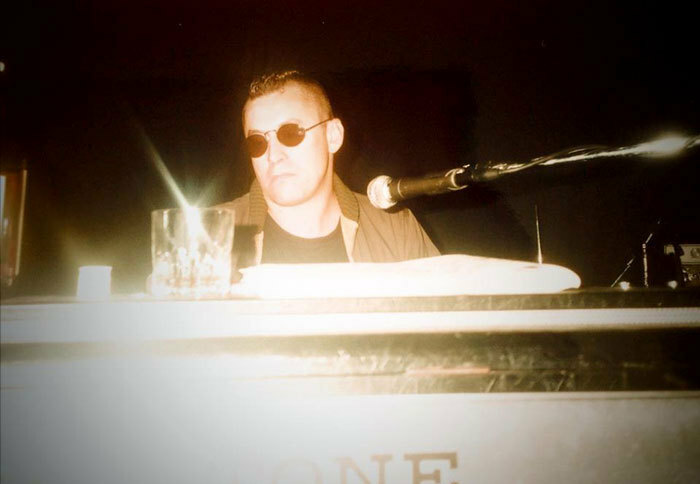 The pub would continue to have associations with the musicians and bands – the IMD compilation Disturbed was launched there in 1995, Graeme Downes even worked there as a barman that year, and The Chills continued to play very occasionally until 1997. 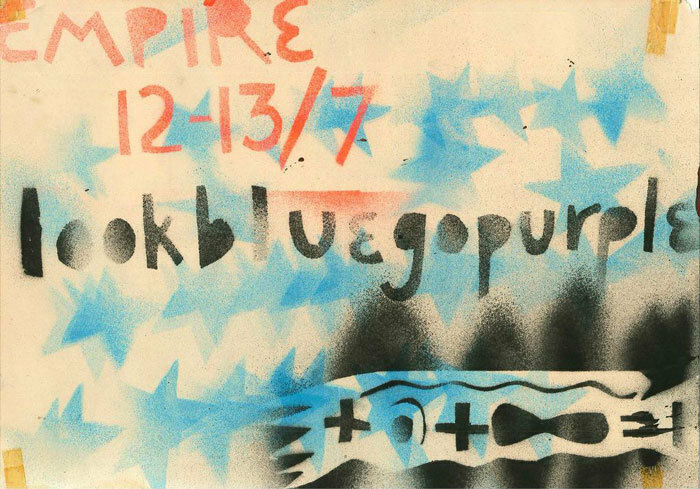 More significantly, in 1996, when Flying Nun was looking for the right venue to mark 15 years of the label, it chose The Empire. 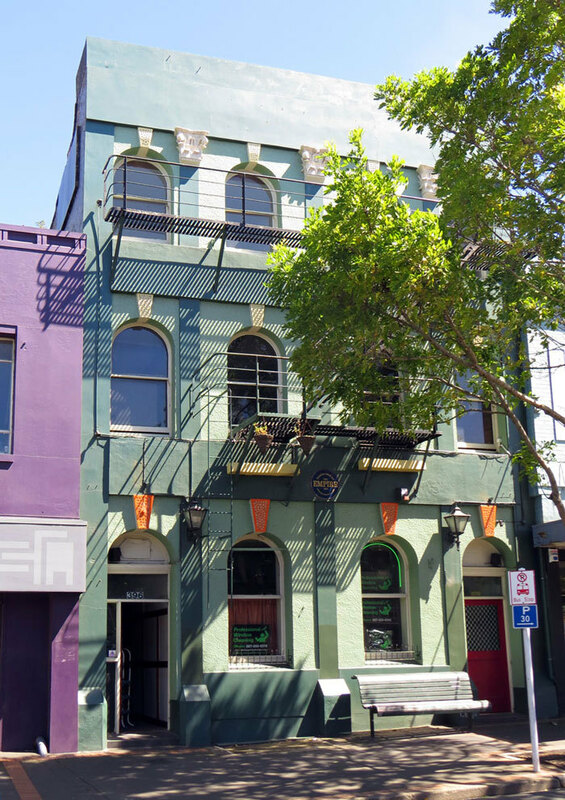 In 2012 the pub was designated a Category 1 building by the Historic Places Trust, an acknowledgement of not only the importance of the 150-year-old building, but in no small measure, of its extraordinary musical legacy. The posters and photos courtesy of Bob Scott, Bob Sutton, James Dignan, Brent Williams, Francisca Griffin, Stuart Page, Lisa Preston and Scott Muir.